Home IELTS Writing Task 2 Model Answer: Some people think that the main factors influencing a child’s development these days are things such as television, friends, and music. Others believe that the family still remains more important. "Some people think that the main factors influencing a child's development these days are thinks such as television, friends, and music. Others believe that the family still remains more important." Nowadays, children have become addicted to electronic items; and also tend to give more importance to their friends and favorite music. Although many argue that these parameters have potential effects on a child's growth, I strongly believe that family plays a vital role in building a child's character. This essay will shed light on both these views. On one hand, some factors such as television, friends, and music are believed to be have more influence on children. For instance, news reports shown on television keep children updated with latest information around the world. Besides, children also obtain inspiration by watching talent shows on TV. Apart from television, children spend plenty of time with their friends and like listening to music. Friendship teaches them how to be supportive and now maintain trust. Moreover, another benefit music is that it keeps children calm and focused on their studies. On the other hand, the formation of a child's personality is mostly based on the family, in which he has grown up . The basis values such as respect, discipline and right behaviour can only be taught by responsible parents. Moreover, a child learns family traditions and religious rituals by observing their elders. For example, during my childhood, I had always followed the footsteps of my parents and grand parents in numerous ways such as white putting on particular clothes according to occasions as well as respectfully treating my guests. Despite the fact that factors external to family have an impact on a child's development, family has the most significant potential to turn a child into a well-behaved adult. To recapitulate, this essay illustrated that television, friends and music are some of the key factors in the process of a child's development; however, family is the most prominent one among these factors. 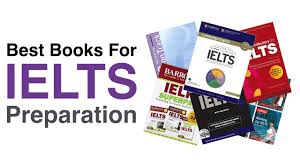 Say hello to IELTSLucy, Your 24/7 IELTS Teacher! !IELTS General Writing Task 1 Model Answer: Letter to the restaurant manager to compliment the food and the service.